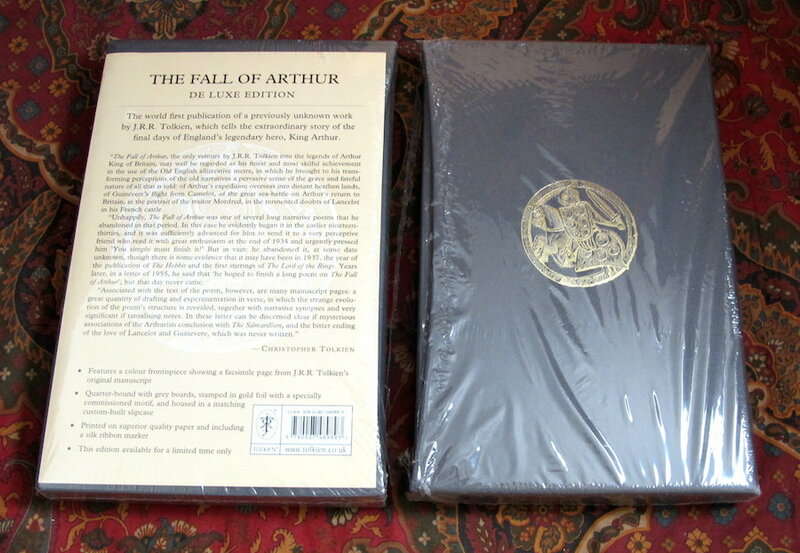 The Fall of Arthur, De Luxe Edition, published by Harper Collins Publishers in 2013. 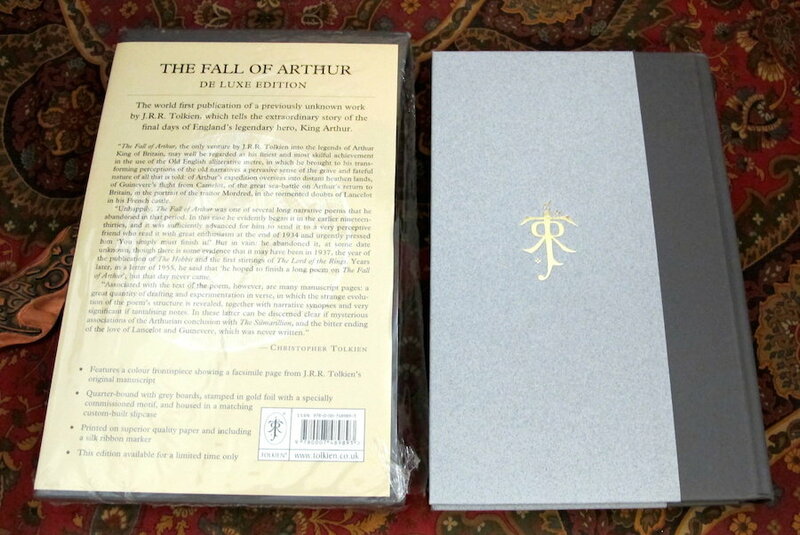 Edited by Christopher Tolkien and illustrated by Bill Sanderson. 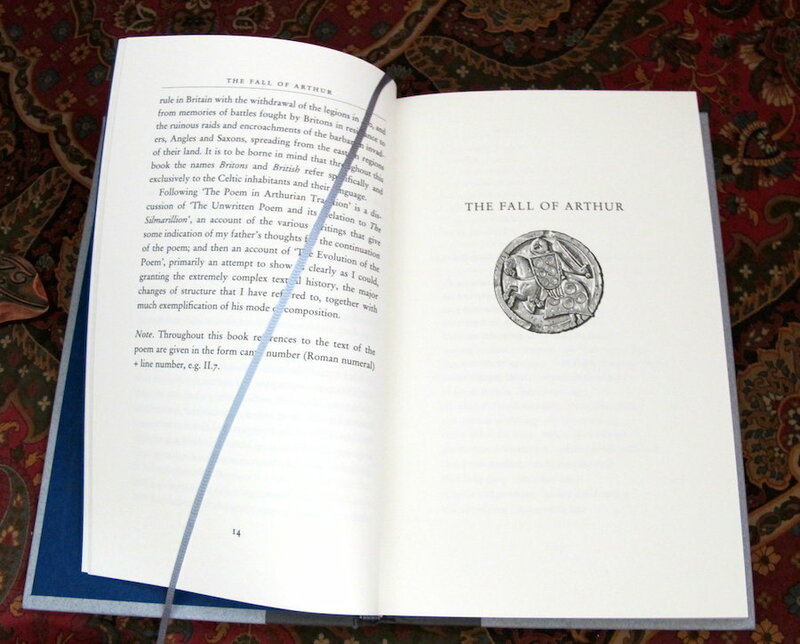 Housed in the original Publishers slipcase, gold foil stamped with a motif representing King Arthur in full battle dress with shield and upraised sword, mounted on his rearing steed. 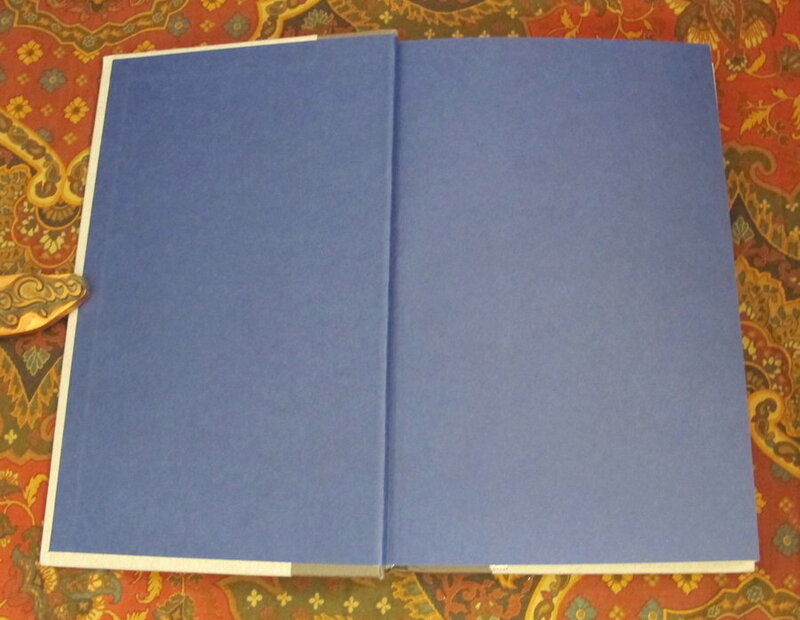 Printed on superiour quality paper and includes a silk ribbon marker sewn in. 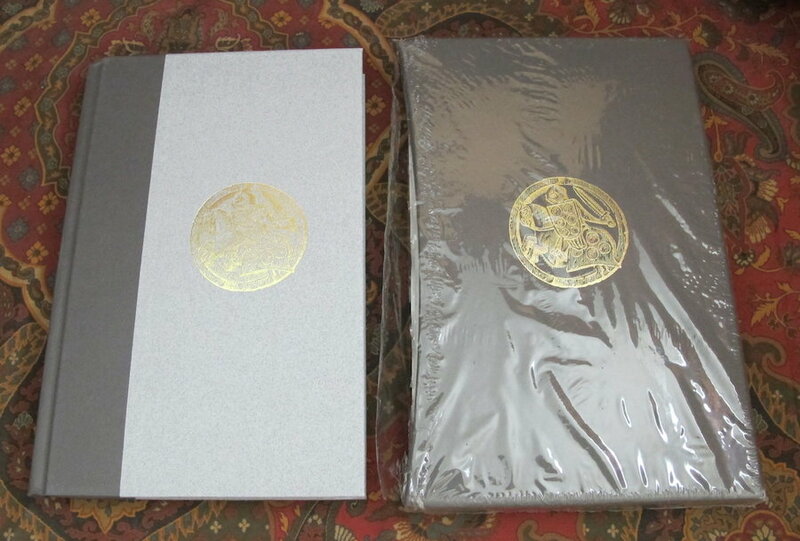 Still sealed in the original shrinkwrap, photos from another copy, for illustrative purposes only. A beautiful presentation of one of England's greatest legends. 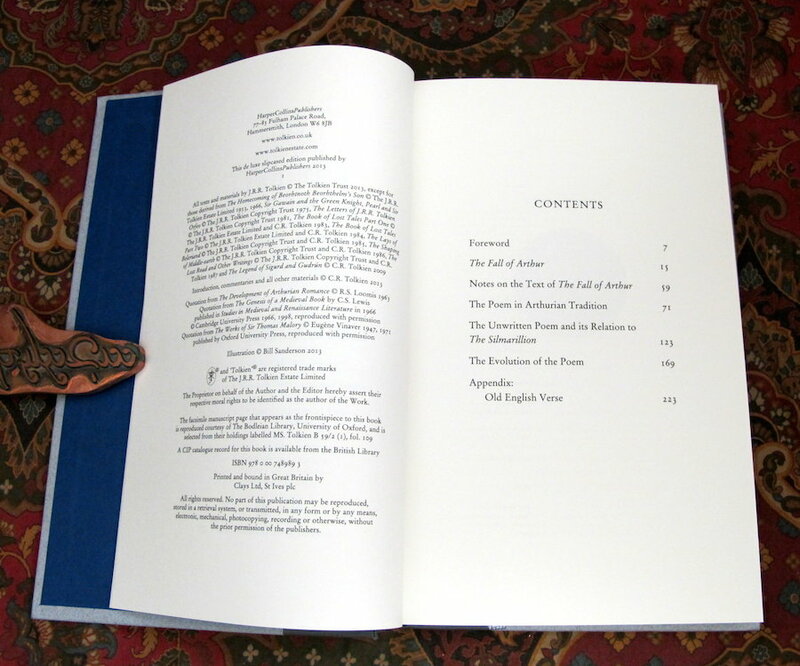 Features a colour frontispiece showing a facsimile page from J.R.R. Tolkiens original manuscript. 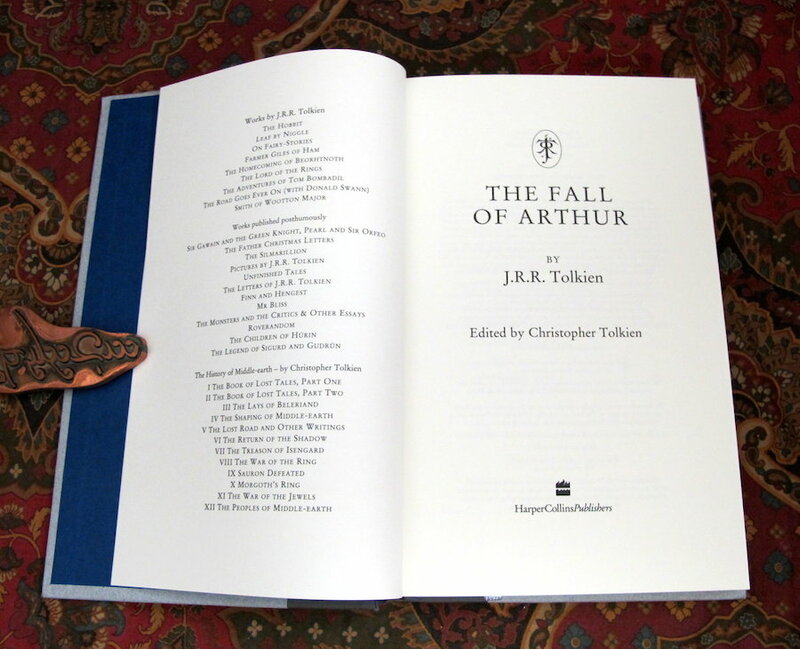 This De luxe Edition is matched in style and design to the 50th Anniversary De luxe Edition of 'The Lord of the Rings', and The De luxe Hobbit that were concurrently issued in 2004. 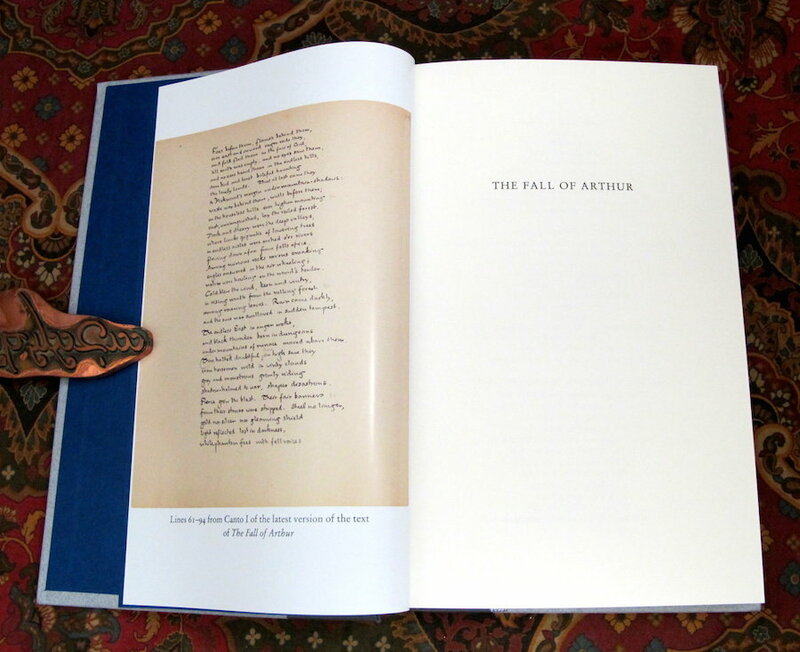 Also matched to the De Luxe Editions of The Silmarillion, The Children of Hurin, Tales of the Perilous Realm, and The Legend of Sigurd and Gudrun.